This section of parking spots centre around East Hill. 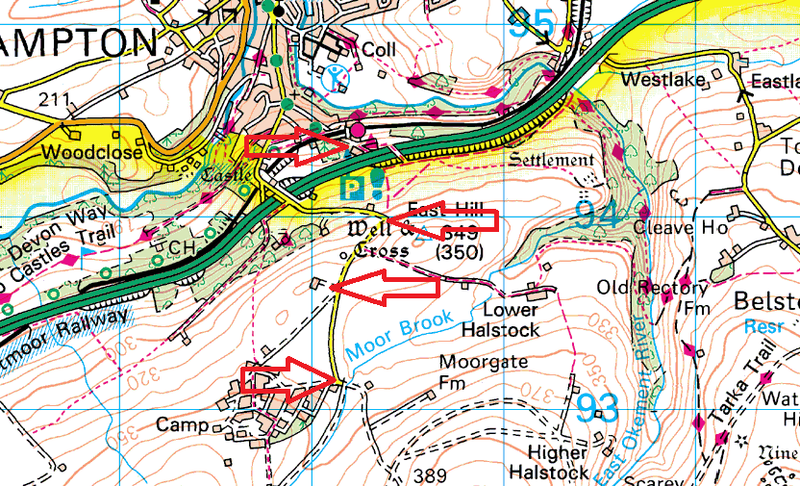 These spots are reached before you get on to the moor proper and before you get to the Okehampton Camp. 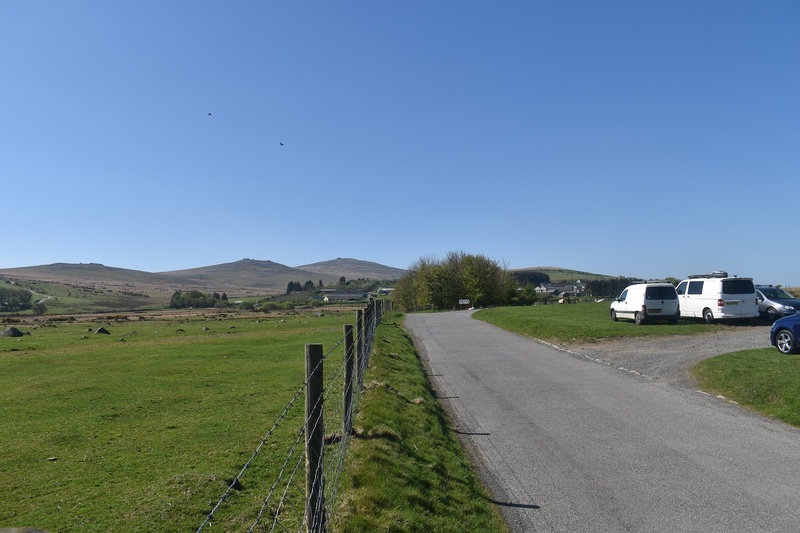 There are 4 areas here, one is a proper car park on the edge of Okehampton, the two others are roadside and the final one a rough car park by the road.